Sarah stopped by WeLoveDC to talk about their experience. 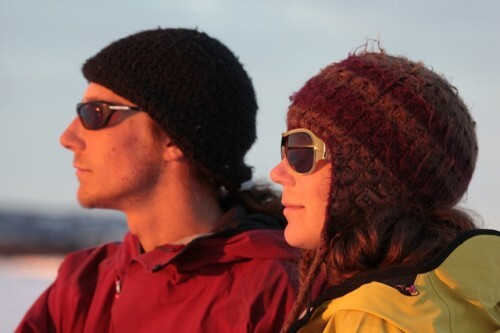 What was the inspiration to conduct the kite skiing journey? My brother, Eric, and I grew up on Baffin Island, in northern Canada with a team of dogs and the Arctic Ocean as our back yard. We were quickly addicted to the expedition lifestyle; as we got older, we started to venture out on longer and longer trips, eventually leading us to the poles. The epic stories of the first explorers who searched for the Northwest Passage always intrigued us. Rich in history, the sailing route took decades to discover and many men disappeared in the search. Eric and I wanted to retrace this route, but in the winter with our kites and skis. 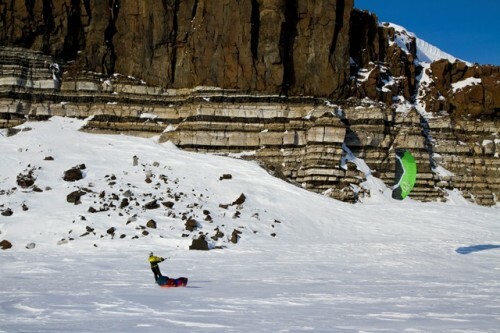 Why do the route via kite skis? Eric and I have used kites during several expeditions across the Greenland and the Antarctic ice caps. 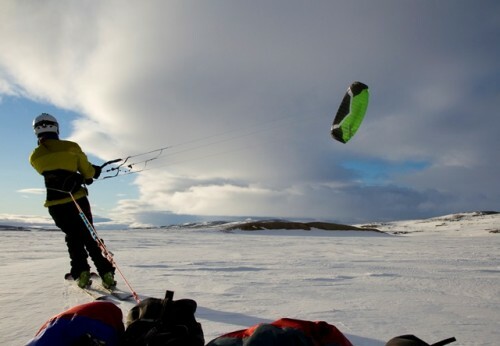 Kite skiing allows us to travel faster and further than the classic “man hauling” expedition. After a grueling crossing of the Gobi Desert with buggies and kites, we realized the true potential of this mode of transport. In search of a unique and challenging route for the journey, we didn’t have to look very far past our back yard to find the Northwest Passage. It provided 3,300 km of challenging terrain, from overland hilly sections, to heaved-up rough ice, to open water. What was the biggest challenge before and during the trip? Eric and I decided to head out on the trip only a couple months prior, so the biggest challenge before we departed was researching the route, finding funding, and testing out equipment- all in the span of several months. Our biggest challenge during the expedition was the Boothia Strait. Known for shifting currents and bad ice, the vast amount of open water in the strait forced us on a 550 km detour. It was already late in the season so it became a race again the rapidly melting snow and ice. What travel tip would you suggest to someone thinking of doing the same? Overall, it’s an amazing trip. The ice was the biggest challenge, as it freezes differently ever year. My best piece of advice on any expedition is to prepare for the worst, because it’ll probably be even worse than you prepared for. Next time I would have brought more chocolate. What fuels your thirst for adventure? Because it’s fun. It’s an amazing opportunity to be able to spend so much time traveling though areas that few people have been in – and to get to spend 85 days camping and kite skiing. What’s the next challenge you want to tackle? Eric and I, along with Erik Boomer and Katherine Breen, will head out on a 1,000 km traditional sea kayak expedition next summer. Our route will take us across Baffin Island in northern Canada. Our biggest challenge has already begun as we research, design, and build traditional sea kayaks that we will use on our expedition. Kite Skiing the Northwest Passage takes place on December 6 at the National Geographic Museum’s Grosvenor Theater beginning at 7:30 p.m. The museum is located at the corner of 16th and M Streets, NW. Parking is free at the museum after 6 p.m.